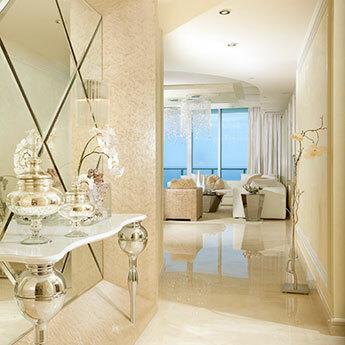 The combination of a cream colour and sparkly mirror pieces provides walls and floors with a stylish look. 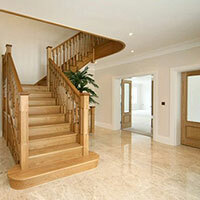 This appearance is emphasised by a polished finish. 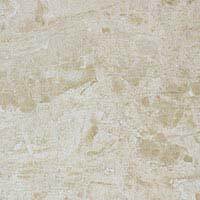 Producing a contemporary style in bathrooms and kitchens, Arabian Cream Quartz can be combined to good effect with modern features. 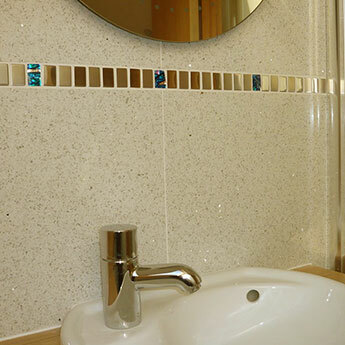 The neutral colour and reflective quality makes these tiles a popular choice for small rooms, as they help to accentuate space. 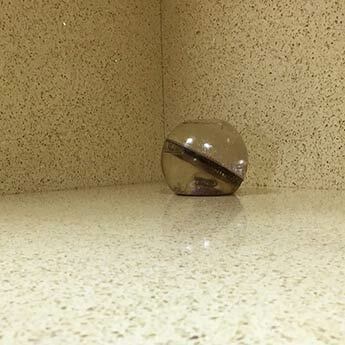 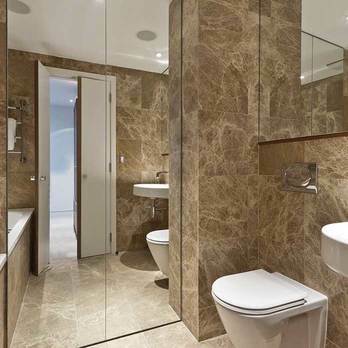 Without the need for specialist cleaning techniques, these engineered quartz tiles are a low maintenance option. 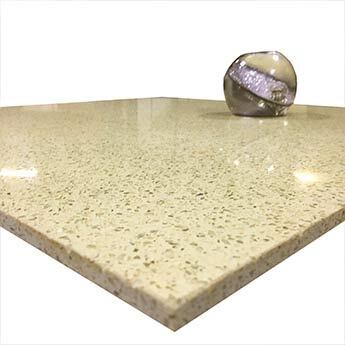 Hard wearing and durable, they are regularly chosen for high traffic areas, particularly in commercial properties. 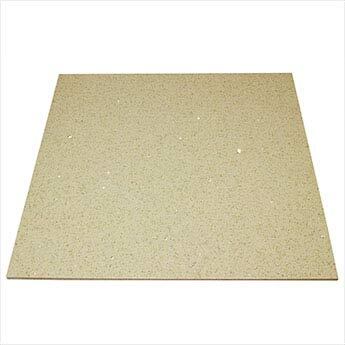 These tiles have a high water resistance level making them suitable for bathroom shower areas and wet rooms. 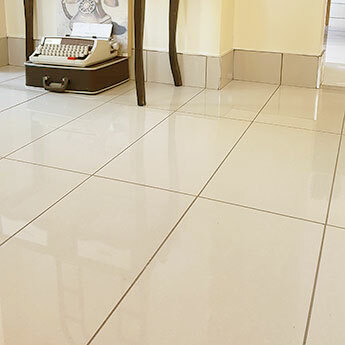 For a seamless look on floors they are often matched with a similarly coloured grout. 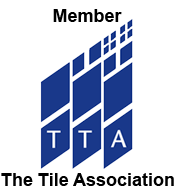 If you want to take a closer look at this tile you can order a sample. 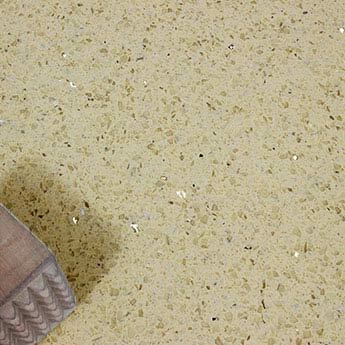 As a result of a unique and innovative manufacturing process these tiles have a 97% quartz content. 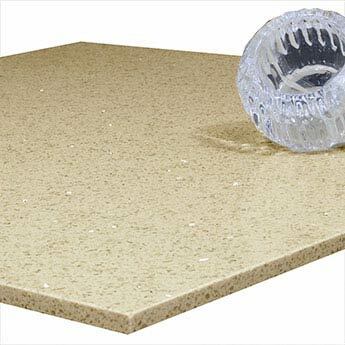 Quartz is resin based which means any use within a high thermal environment, in areas exposed to natural sunlight including conservatories, in outdoor areas and near patio doors is at your own risk. 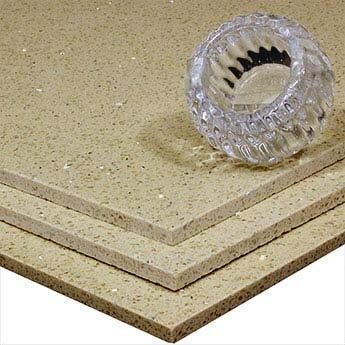 Latex adhesives should also be avoided.